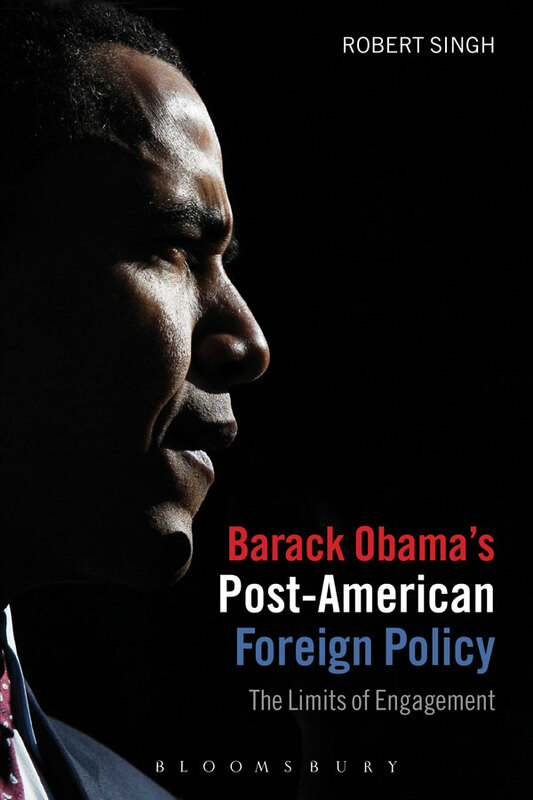 As Obama’s first term as President of the United States draws to a close, Professor Robert Singh has been examining the achievements and gaps in American foreign policy over the last four years in his latest book, Barack Obama’s Post-American Foreign Policy: The Limits of Engagement. The post-American world, in which the “rise of the rest” leads to the decline of the influence of the United States, need not necessarily be an anti-American world, asserts Professor Singh. However, the significant challenge facing Obama as he took office four years ago was to transform American foreign policy to demonstrate that the US could exert international leadership while managing its own decline. Obama claimed that this would be an era in which American foreign policy would break with the previous eight years under Bush, and focus on engagement, diplomacy and multilateralism – repairing the relationships and partnerships damaged by policies based on the unilateral use of force and attempts to secure America’s continued position as the world leader. However, the global order was already undergoing significant change, as Obama himself recognised, and Professor Singh claims that the foreign policy choices of the last four years have in fact hastened the transformation to a post-American world, in which the US has failed to maintain its influence and leadership. What at first sight appear to have been major successes for the Obama administration, on closer examination can be seen to have contributed to a decline of American influence during the first-term of Obama’s presidency. Firstly, Obama’s strategy of reengagement and multilateralism did achieve limited successes, not least in enabling him to secure new UN sanctions against Iran, in addition to tightened US and EU sanctions. In reality, however, this has led Iran to step up its nuclear programme, and Tehran is now closer than ever to achieving nuclear capability, with the help of China and Russia, who have actively assisted Iran to circumvent sanctions. This in turn makes the prospect of a unilateral attack by Israel ever greater. Secondly, although Obama chose to support revolutionary groups in Tunisia, Egypt and Syria, and Gaddafi was removed from power in Libya without a single American fatality, his administration’s policies towards Israel and continued support for authoritarian rulers in Bahrain and Riyadh – where there have been similar calls for democratization – has compounded anti-American sentiment amongst Arabs and Muslims. Furthermore, the removal of the (albeit autocratic) American-friendly regimes in those countries has contributed to a waning of American influence across the region. Thirdly, Obama has presided over a “pivot” to Asia, designed to signify a shift in US attentions, away from Iraq and Afghanistan and towards trade, military, diplomatic and human rights issues in Asia. While the “pivot” aimed to reassure US allies in the region that the US would continue to take a lead role, balancing China’s increasing power in the region, the approach has raised Chinese concerns that it is really the launch of a Cold War-style containment strategy. European governments have also seen the Asian “pivot” as retreat from Europe, which could ultimately weaken faltering attempts to preserve a liberal international order of open market democracies. America has withdrawn from Iraq but the result may yet be a return to civil war in Iraq and increased Iranian influence. The forthcoming withdrawal from Afghanistan, while domestically classed as a success for the administration, will, according to leaked NATO reports, likely see the Taleban reconstituting its influence. The terror threat from al Qaeda remains potent despite the killing of Osama Bin Laden, while insurgent forces in Pakistan are no closer to being removed than when Obama took office. Mitt Romney and other Republican opponents have, of course, criticised Obama’s foreign policy, but Professor Singh claims: “Any fair accounting of the Obama record must note the marked and, to many supporters and opponents alike, surprising continuity of his administration with its ill-loved predecessor.” Although the language of the “war on terror” has been dropped, Professor Singh points out that the actions of the US administration under Obama have essentially continued many of its tactics: “One can make a case that the administration has been even more aggressive than that of George W. Bush in using drone strikes to carry out assassinations, infringing Pakistani (not to mention Yemeni and Somali) sovereignty, and in maintaining rendition, detention, military commissions and the pursuit of “state secrets” doctrines.” A shift to a Republican administration after the 2012 presidential election – however improbable – would not be likely to yield a significant change to the majority of Obama’s policies, with the possible exceptions of Israel and Iran. What approach Obama might take if he wins a second and final term, when he possesses more ‘flexibility’, is less certain. So, although an anti-American world was not inevitable in a post-American era, Professor Singh argues that the ultimate outcome of Obama’s approach has been the hastening of the decline of America’s global influence, and a sidelining of the US in ways that we have not seen for several decades. Professor Singh’s book, Barack Obama’s Post-American Foreign Policy: The Limits of Engagement, was published on 7 June 2012 by Bloomsbury.